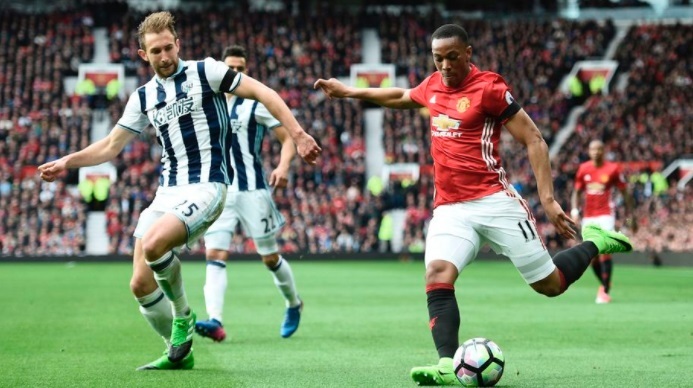 Manchester United are set to take on West Bromwhich Albion in the Premier League game on Sunday afternoon, 17th December 2017 at the The Hawthorns Stadium in West Bromwic. Manchester United might be 14th points behind Man city by the time they take the field against West Brom which makes it a must win game for United. While West Brom are not a team who can be steamrolled at home and under new manager Allan Pardew they will put up a real fight to United. If you missed the live action, you can always tune in here for full match highlights right here on this page. Preview and Team News: If City lose their first game in the league on Saturday against Tottenham that will motivate United even more to get three points and reduce the gap at top of the table to 8 points. However, anything but a win for United and City might increase their lead which will surely be too much to recover. However they have been dropping points consistently at home against midtable/bottom table clubs and West Brom are no pushovers who will come to frustrate United. United need an early goal to calm their nervous and with Pogba, Ibrahimovic and Herrera missing Mourinho might have to use a makeshift starting lineup to get a result in this crucial and pretty much must win game. West Bromwhich Albion held United to a 0-0 draw the last them these two meet in the premier league. Under new manager Allan Pardew they will be looking to upset United again come this Sunday afternoon. 45′ Severely under strength United side failed to break down West Brom on Saturday afternoon. Baggies frustrated United for most part and had their half chances. 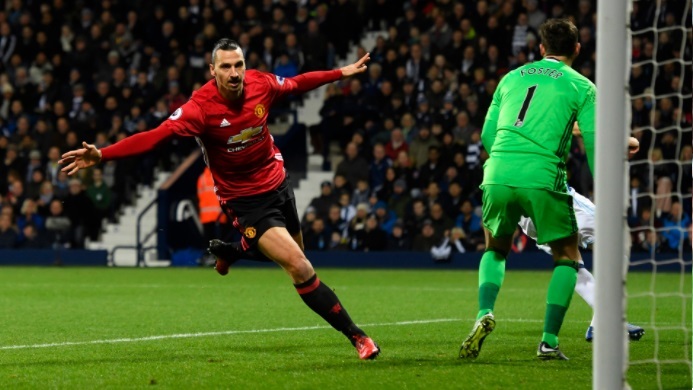 The last game between the two at the hawthorns, United won all three points thanks to clinical nature of their play with Zlatan Ibrahimovic scoring both the goals and United taking all three points back in December 2016. 05′ 0 – 1 Zlatan Ibrahimovic scored in just 5th minute of the game to put Manchester United 1-0 up. 55′ 0 – 2 Zlatan Ibrahimovic doubled United’s lead after a neat footwork and a deflected shot. Predictions: Manchester United went 35 years unbeaten against West Brom but in the last two Baggies visits at Old Trafford West Brom produced two wins in a row back in september 2013 and May 2015. Van Gaal has been criticized for possession based gameplans which are not only boring for some experts but also toothless in attack. Wayne Rooney will be slightly more confident having scored the winner against CSKA and he will be leading the forward line for United.